1. Wash escarole and then soak the leaves for an hour. Drain water and wash thoroughly again. 2. Sauté sliced garlic in oil on medium heat. Add escarole and fold into garlic and oil slowing greens to cook. 4. 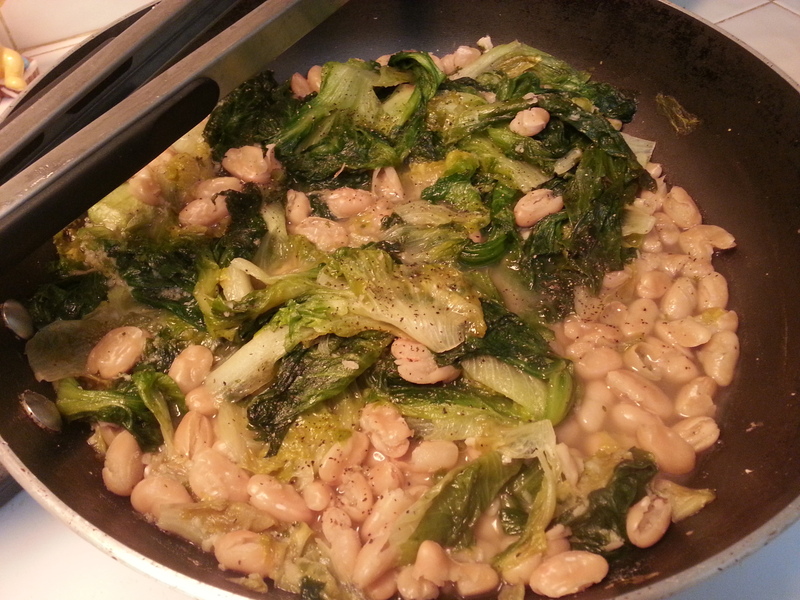 Pour chicken broth into greens and add beans. 5. Lower heat and let simmer. Season with parsley and pepper. Eat over pasta or plain.